People don't exactly think of insurance as the most glamorous industry to work in. They tend to associate a job in insurance with their uncle Irving; who is boring, bespectacled and about a hundred years old. 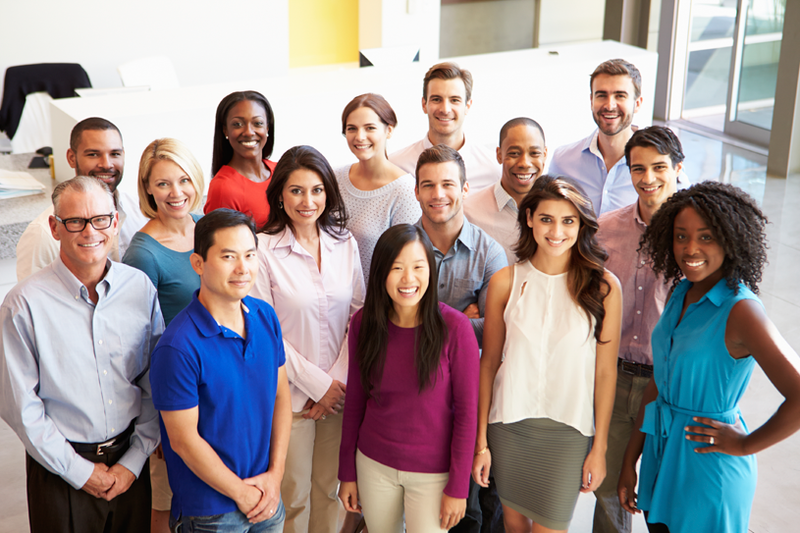 So it doesn't come as any great surprise that the biggest trend influencing hiring and employment in the insurance industry is the generational shift that is taking place as so many current employees are rapidly reaching retirement age. Consequently, insurance companies are facing an impending shortage of talent that could alter business performance and significantly impact the bottom line. According to a study by Deloitte Research, these can be the underwriters, claims adjusters, sales professionals, actuaries, and others who can make the difference between 10 percent and 20 percent annual growth — or between underwriting profit and loss. As insurance companies strive to remain competitive, they are being forced to rethink the way they engage, educate and support their employees. Traditionally, the insurance industry viewed talent management as a linear process – with overemphasis on the acquisition and retention of talent. These approaches are not appealing to today's new hires and oftentimes fall short for providing a positive work experience. Realizing that change is imminent, insurance carriers are taking a closer look at their talent management processes. Learning and development departments are concentrating their efforts on onboarding and training programs that meet new hire expectations as well as improve productivity and job satisfaction for current employees. With the insurance workforce in high demand and in low supply, getting off on the right foot is as important as ever. Onboarding surveys by the Center for Creative Leadership reveal that new employees who attended a well structured onboarding program were 69% more likely to remain at a company for up to three years. While previous new-employee initiation programs were one day affairs, today's onboarding initiative extends past the first day/week/month to include an on-going approach that will accompany the employee throughout the employment lifetime and support them to achieve better job performance. For additional guidelines on how to enhance your onboarding process, claim a free copy of our Ebook: Five Steps to a Successful Onboarding Process. 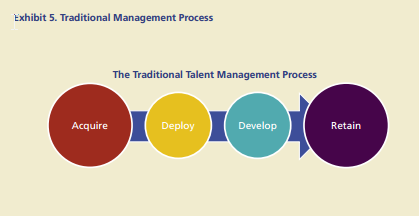 As we mentioned above, traditional talent management approaches in the insurance industry are lacking in the areas of deployment and development. In fact, Deloitte Research confirmed that in 2008 companies spent 50 times more on recruitment than they did on training. This is changing as leading insurance firms are realizing that training and development is crucial for increased productivity and job satisfaction. Here we feel compelled to emphasize the importance of identifying the proper type of training, as time and costs associated with employee training can quickly spiral out and impact ROI. For example, it has been said that the new generation of underwriters and claims professionals generally don’t learn well in classroom settings. Their development might be better managed through newer training methods such as performance support systems (PSS). Performance Support Systems shorten the training duration by supporting employees in real-time, on the live application. Using visual recognition technologies, the performance support application "sees" the screen just as the user does, and constantly monitors the user's activities live within the application. Employees can learn on the job with directed guidance or can complete tasks with automated field completion. The systems also alert users when they have made an error and support them through the correct steps. This reduces classroom training time and costs, ensures compliance with industry regulations, and instills employees with confidence to perform at their best. At the end of the day, employees want to feel valued and connected to the company where they spend so much of their waking hours. This means instilling purpose in your employees by showing them that what they do every day in the workplace has a big effect – such as impacting the customer experience or increasing revenues. By tying individual behavior to the bigger picture, you will give your employees a sense of what they bring to the table and give meaning to their efforts and work. For ten easy ways to motivate your employees download a copy of our infographic: 10 Ways to Help Your Team Perform Better.